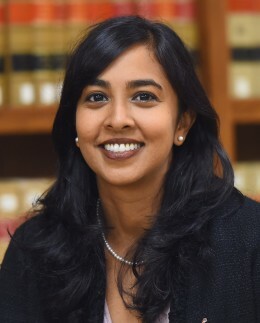 Professor Anita S. Krishnakumar‘s article, Backdoor Purposivism, has been accepted for publication in the Duke Law Journal. It has become standard, among statutory interpretation commentators, to declare that “We are all textualists now.” The comment stems from the observation that in the modern, post-Scalia era, all of the Justices on the U.S. Supreme Court—including those considered purposivists—pay significant attention to statutory text when construing statutes and, relatedly, that legislative history use by the Court as a whole has declined compared to its heydey in the 1970s. The account of textualism’s triumph is so prevalent that some scholars have declared purposivism—or at least traditional purposivism—essentially defunct. Two prominent textualist scholars in particular have suggested that there is a “new purposivism” at work on the modern Court and that this purposivism is textually constrained, limiting its focus to the means identified in the text of the statute rather than the underlying policy objectives motivating the statute—or, alternately, using purpose as a threshold consideration in determining whether a statute is ambiguous in the first place. This Article breaks from the conventional “purposivism is dead or dying” wisdom in two important ways. First, it argues, based on empirical analysis of 499 Roberts Court statutory interpretation cases decided between 2006 and 2017, that traditional purposivism is alive and well on the modern Supreme Court. That is, while purposivist Justices in the modern era do pay attention to text and invoke textual canons in a way that their 1970s purposivist counterparts did not, modern purposivists have not abandoned the traditional purposive approach of identifying a statute’s policy objective and adopting the construction that best fits that objective. On the contrary, modern purposivists regularly invoke statutory purpose, intent, and legislative history—even if the Court as a whole does not. Second, and perhaps more importantly, the Court’s textualist Justices quietly have been engaging in a form of purposive analysis that comes closer to traditional purposivism than scholars and jurists have recognized. That is, the textualist Justices have been using pragmatic reasoning, as well as traditional textual canons such as noscitur a sociis and the whole act rule, to impute a specific intent or policy goal to Congress in many cases. This practice, which I call “backdoor purposivism,” goes beyond using text as the best evidence of statutory purpose and entails significant judicial guesswork and construction of legislative purpose and intent. The Article suggests that, in the end, there may be less distance between textualists and purposivists than the old debates suggest—but because textualists have embraced purpose and intent in unexpected ways, rather than because, or merely because, purposivists have become more text-focused. It concludes by advocating that both textualists and purposivists employ interpretive resources outside their preferred toolkit, in order to check the accuracy of their initial statutory readings and to curb the influence of their inherent personal biases. During the month of March, Professor Kate Klonick presented her research at the Data Care Protection Act Workshop at Stanford Law School and discussed the Digital Democracy Deficit at the Nebrooklyn: Junior Law and Tech Scholars Workshop at the University of Connecticut Law School. During the month of February, Professor Klonick served as a paper discussant at Temple Law School’s International Law Colloquium: Speech Across Borders. She also presented her paper, Facebook v. Sullivan: Building Constitutional Law for Online Speech, co-authored with Thomas Kadri, at a program titled Is Social Media Broken? And Can We Fix It? at UCLA Law School, at a conference titled Internet Platforms’ Rising Dominance, Evolving Governance at the University of Colorado Law School, and at a faculty workshop at Loyola University Los Angeles. Also in February, Professor Klonick spoke at a program titled Truth Decay: Deep Fakes and the Implications for Privacy, National Security and Democracy at the University of Maryland Law School. In January 2019, Professor Klonick spoke at a Holocaust Remembrance Day event sponsored by TWITTER NYC, and presented her Facebook v. Sullivan paper at a faculty workshop at Washington Law School at American University. Professor Eva Subotnik’s article, Existential Copyright and Professional Photography, co-authored with Professor Jessica Silbey (Northeastern) and Professor Peter DiCola (Northwestern), will be published in the Notre Dame Law Review. Their article is a qualitative study of how professional photographers conceptualize and make use of copyright as part of their business models and in other ways, too. Intellectual property law has intended benefits, but it also carries certain costs—by design. Skeptics have asked: Why should intellectual property law exist at all? To get traction on that overly broad but still important inquiry, we decided to ask a new, preliminary question: What do creators in a particular industry actually use intellectual property for? In this first-of-its kind study, we conducted 32 in-depth, qualitative interviews of photographers about how law functions within their creative and business practices. By learning the actual functions of copyright law on the ground, we can evaluate and contextualize existing theories of intellectual property. More importantly, our data allow us to expand the set of possible justifications for intellectual property. Contrary to accepted wisdom, we find that copyright provides photographers with economic leverage in upfront negotiations with clients but not much benefit in anti-copying protection afterwards. Beyond that, copyright also serves as part of photographers’ multifaceted sense of professionalism to protect the integrity of their art and business. Evaluating the desirability of these unrecognized and surprising functions of copyright is separate from identifying them in creators’ accounts. But we argue that the real-world functions of copyright are better candidates for justification and better subjects for policy discussion than chalkboard theories. In this way, our study of photographers moves the long-standing debate over intellectual property law’s purpose to a new and more informed place. Professor Kate Klonick‘s article, Facebook v. Sullivan: Building Constitutional Law for Online Speech, co-authored with Thomas Kadri, has been accepted for publication in the Southern California Law Review. In this article, we offer the first empirical analysis of how judges and content moderators have used these two concepts to shape the boundaries of free speech. We first introduce the legal doctrines developed by the “Old Governors,” exploring how courts have shaped the constitutional concepts of public figures and newsworthiness in the face of tort claims for defamation, invasion of privacy, and intentional infliction of emotional distress. We then turn to the “New Governors” and examine how Facebook’s content-moderation system channeled elements of the courts’ reasoning for imposing First Amendment limits on tort liability. By exposing the similarities and differences between how the two systems have understood these concepts, we offer lessons for both courts and platforms as they confront new challenges posed by online speech. We expose the pitfalls of using algorithms to identify public figures; we explore the diminished utility of setting rules based on voluntary involvement in public debate; and we analyze the dangers of ad-hoc and unaccountable newsworthiness determinations. Both courts and platforms must adapt to the new speech ecosystem that companies like Facebook have helped create, particularly the way that viral content has shifted our normative intuitions about who deserves harsher rules in disputes about harmful speech, be it in constitutional law or content moderation. Finally, we explore what this comparison reveals about the structural role platforms play in today’s speech ecosystem and how it illuminates new solutions. We argue that these platforms act as legislature, executive, judiciary, and press — but without any separation of powers to establish checks and balances. With these realities exposed, we contend that platforms must separate their powers and create institutions like the Supreme Court to provide transparent decisions and consistent rationales on how concepts related to newsworthiness and public figures are applied. This will give users some representation and due process in the new, private system regulating their expression. Ultimately, platforms cannot rely on global norms about free speech — which do not exist — and must instead make hard choices about which values they want to uphold through their content-moderation rules. We conclude that platforms should adopt constitution-like charters to guide the independent institutions that should oversee them. On Friday, March 15, 2019, the Wall Street Journal published an article highlighting some of the findings of Professor Michael Perino’s latest paper, Real Insider Trading. One of the key findings of the research is that many insider trading defendants are not the elite market participants normally trumpeted in enforcement rhetoric. Instead, the SEC in particular frequently targets mid-level employees and their friends and family engaging in opportunistic trading, most often involving unannounced M&A transactions. Government officials and academics offer starkly different portraits of insider trading enforcement. In popular rhetoric, insider trading cases are about leveling the playing field between elite market participants and ordinary investors. Academic critiques vary. Some depict an untethered insider trading doctrine that enforcers use to expand their power and enhance their discretion. Others see enforcers beset with agency cost problems who bring predominantly simple, easily resolved cases to create the veneer of vigorous enforcement. Unfortunately, this debate has, so far, been based mostly on anecdote and conjecture rather than empirical evidence. This article addresses that gap by collecting extensive data on 465 individual defendants in civil, criminal, and administrative actions to assess how enforcers actually operationalize insider trading doctrine. The cases enforcement authorities bring are shaped by a complex and cross-cutting set of institutional and individual incentives, cognitive biases, legal requirements, the history of failed enforcement efforts, and the way in which the agency and the self-regulatory organizations deploy their investigatory resources. SEC enforcement is dominated by small stakes, opportunistic trading by mid-level employees and their friends and family, most often involving M&A transactions. Those cases settle quickly, half within 30 days of filing. Criminal enforcement is generally reserved for more serious cases, measured by, among other things, the type of defendant, the size of the insider trading network, and the profits earned. In both settings, there is little evidence that enforcers are systematically stretching the boundaries of insider trading doctrine, suggesting that there is little need for more precise statutory language to curb enforcement overreach. Professor Anna L. Roberts‘ article, Convictions as Guilt, has been accepted for publication in the Fordham Law Review. A curious tension exists in scholarly discourse about the criminal justice system. On the one hand, a copious body of work exposes a variety of facets of the system that jeopardize the reliability of convictions. These include factors whose influence is pervasive: the predominance of plea bargaining, which presents carrots and sticks to innocent and guilty alike, and the subordination of the defense, symbolized by resource disparities that prevent even narratives of innocence from getting a fair hearing. On the other hand, in a variety of contexts, scholars discuss those with criminal convictions in a way that appears to assume crime commission. This assumption obscures crucial failings of the system, muddies the role of academia, and, given the unequal distribution of criminal convictions, risks compounding race- and class-based stereotypes of criminality. From careful examination of this phenomenon and its possible explanations, reform proposals emerge. Professor Jeremy Sheff recently appeared on the legal scholarship podcast Ipse Dixit to discuss his latest work in progress, Jefferson’s Taper. In the podcast, Professor Sheff discusses his discovery of the connection between a famous letter from Thomas Jefferson on the justification for patent rights and the writings of ancient Roman philosopher Marcus Tullius Cicero. The conversation between Professor Sheff and Ipse Dixit host Professor Brian Frye goes on to explore the implications of this discovery for our modern justifications for intellectual property rights.Jefferson’s Taper is available in draft on SSRN. This Article reports a new discovery concerning the intellectual genealogy of one of American intellectual property law’s most important texts. The text is Thomas Jefferson’s often-cited letter to Isaac McPherson regarding the absence of a natural right of property in inventions, metaphorically illustrated by a “taper” that spreads light from one person to another without diminishing the light at its source. I demonstrate that Thomas Jefferson likely copied this Parable of the Taper from a nearly identical passage in Cicero’s De Officiis, and I show how this borrowing situates Jefferson’s thoughts on intellectual property firmly within a natural law theory that others have cited as inconsistent with Jefferson’s views. I further demonstrate how that natural law theory rests on a pre-Enlightenment Classical Tradition of distributive justice in which distribution of resources is a matter of private judgment guided by a principle of proportionality to the merit of the recipient — a view that is at odds with the post-Enlightenment Modern Tradition of distributive justice as a collective social obligation that proceeds from an initial assumption of human equality. Jefferson’s lifetime correlates with the historical pivot in the intellectual history of the West from the Classical Tradition to the Modern Tradition, but modern readings of the Parable of the Taper, being grounded in the Modern Tradition, ignore this historical context. Such readings cast Jefferson as a proto-utilitarian at odds with his Lockean contemporaries, who supposedly recognized property as a pre-political right. I argue that, to the contrary, Jefferson’s Taper should be read from the viewpoint of the Classical Tradition, in which case it not only fits comfortably within a natural law framework, but points the way toward a novel natural-law-based argument that inventors and other knowledge-creators actually have moral duties to share their knowledge with their fellow human beings. Professor Ned Cavanagh‘s article, Offensive Non-Mutual Issue Preclusion Revisited, has been accepted for publication in The Review of Litigation (Texas). In 1978, the Supreme Court in Parklane Hosiery Co. v. Shore held that the rule of mutuality of estoppel was no longer an absolute bar to the invocation of issue preclusion by a stranger to the prior litigation and that courts may permit non-mutual issue preclusion except where doing so would produce unfair results. Many state courts then followed suit, and Parklane soon became the majority view. Nevertheless, doubts about Parklane persist. Some scholars continue to argue that Parklane went too far in banishing mutuality to the scrap heap and that a rule of mutuality with a few defined exceptions is preferable to a rule of non-mutuality with a lot of fuzzy exceptions. Parklane has led to a broader application of preclusion principles in federal litigation. However, the debate over mutuality is not merely academic and has taken on new urgency in light of the fact that since Parklane was decided, the complexion of litigation in the federal courts has changed dramatically. That, in turn, has brought about a corresponding change in attitude among judges regarding litigation management. The multiparty, multijurisdictional, multidistrict litigation that populates today’s federal dockets has grown increasingly complex. In managing complex cases, judges no longer seek to try all cases in a single, consolidated action. Rather, judges may seek to break down the litigation into smaller pieces, looking for “fast track” or “bellwether” cases that, once resolved, will lead to settlement of the remaining cases. In these circumstances, questions of issue preclusion abound. The question explored herein is whether the rule of Parklane and its progeny remains a viable standard under the new litigation paradigm. It concludes that the changing nature of litigation in the federal system has not lessened the need for development and implementation of a coherent set of principles governing preclusion. In most areas of preclusion, a broad consensus in fact exists. Whether courts should allow offensive non-mutual issue preclusion is the only real area of debate in the preclusion field. The case by case approach articulated by the Court in Parklane strikes the proper balance between fairness and efficiency. Bright line rules might be more predictable, but the ultimate goal is to get just outcomes, not simply predictable outcomes. The answer to Professor Clermont’s question is, therefore, that we are better off with a rule of non-mutuality with a lot of fuzzy exceptions, instead of a rule of mutuality subject to a few very well-defined exceptions. The case for change has not been made, and it would be a serious mistake to turn back the clock and embrace a rule of mutuality. Professor Jeff Sovern served as a discussant and facilitator at the inaugural Consumer Law Scholars Conference at the Berkeley Center for Consumer Law and Economic Justice at the University of California—Berkeley Law School on February 21 and 22nd. Jeff Sovern, a professor of law at St. John’s University, said businesses will have to change their website by Jan. 1 to create a way for consumers to ask for their data or opt out of having it collected. He added that consumers will also be able to ask for data from as far as a year back. Professor Marc O. DeGirolami‘s article, The Traditions of American Constitutional Law, has been accepted for publication in the Notre Dame Law Review. This article identifies a new method of constitutional interpretation: the use of tradition to inform constitutional meaning. It studies what the Supreme Court means by invoking tradition and whether what it means remains constant across the document and over time. The task is worth pursuing inasmuch as traditional interpretation is pervasive, consistent, and recurrent across the Court’s constitutional doctrine. So, too, are criticisms of traditional interpretation. There are also more immediate reasons to study the role of tradition in constitutional interpretation. The Court’s two newest members, Justices Neil Gorsuch and Brett Kavanaugh, have indicated that tradition informs their understanding of constitutional meaning. The study of traditional interpretation seems all the more pressing to understand certain possible jurisprudential moves in the Court’s future. The article identifies traditional interpretation as its own method; shows its prevalence and methodological consistency across the domains of constitutional interpretation; isolates and examines its constituent elements, comparing them against other prominent interpretive approaches; and infers and explains the justifications of traditional interpretation from the doctrinal deposit. While there may be some irony about a claim of novelty in an article about tradition, what this article identifies as new is not the invocation of tradition as such, but the isolation of a recurrent and consistent method—traditional interpretation—adopted by the Court across its interpretive work. It aims to bring to light an overlooked and yet frequently used interpretive practice, and to understand its structure, situation, and purpose within the Court’s constitutional doctrine.